A friend of mine posted this photo on facebook, but whoever she got it from had cropped the copyright info. I did a google image search and found that the photo was taken by Chip Phillips. If you follow that link, you will be treated to more stellar images of the Oregon coast. 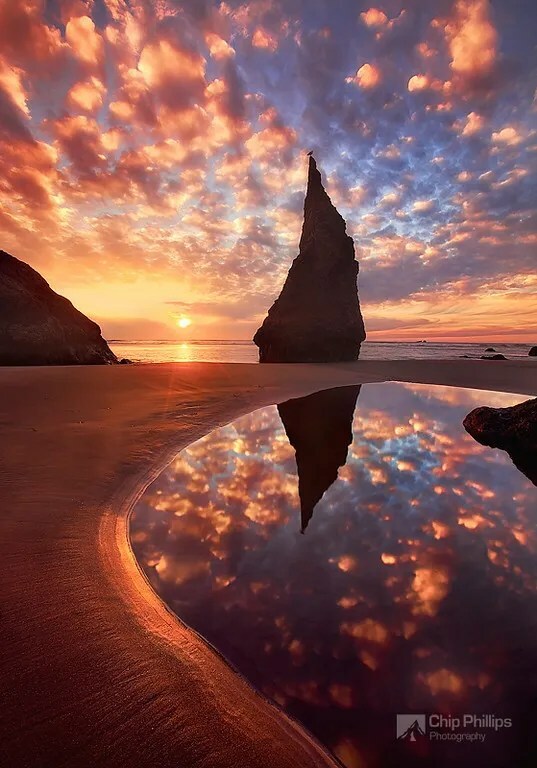 This one is a shot of Wizards Hat in Bandon Oregon, taken at sunset. Stunning, beautiful and inspiring. Sometimes I get so caught up in the daily grind that I forget how amazing this planet is. Stop and look around, people — we are blessed!